Sheriff Dells rushed into his station with Becca, Mickey and Bill on his heels. At once the lingering stench and a loud groan reminded him of the prisoner he had locked into a cell an eternity ago. It had quickly become the most devastating day of his career, but with two of his deputies already dead and his town in danger, he didn’t have time to let his thoughts linger on the raging unpleasantness of his current situation. “Not anymore he isn’t,” Becca said while looking out the window. “You mean, it,” she said. Dells felt ashamed that the man had spoken words that should have come from his mouth. The Sheriff nodded and said, “You’re right. Follow me.” As he unlocked the gun cabinet, he noticed that not only Bill, but Becca had followed him as well. “I know you aren’t thinking about not giving me a gun,” Becca said over her clenched fists. 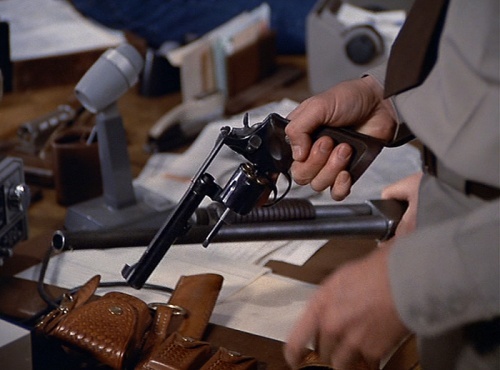 Dells asked Mickey to hand out ammunition while he dialed a secure line that connected them to the Tucson headquarters. That was when Becca’s brother ran into the station with his arm wrapped in a red stained shirt.